Hello. I’m Matt Webb. The most important thing about me, for the purposes of this talk, is that I’m not an architect. 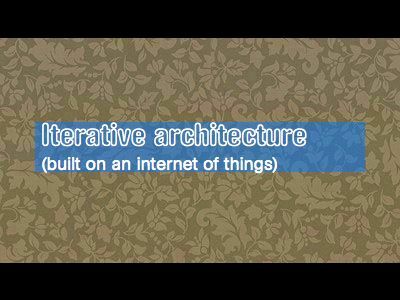 I can do “iterative” and I can do “internet of things,” but… well, I’ll show you some of the work I do so you can see where I’m coming from.